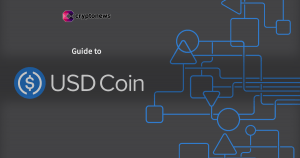 USD Coin (USDC) is a relatively fresh stablecoin pegged to the US dollar. It was launched on September 26, 2018, in collaboration between Circle and Coinbase. USDC is an alternative to other USD backed cryptocurrencies like Tether (USDT) or TrueUSD (TUSD). In a nutshell, USD Coin is a service to tokenize US dollars and facilitate their use over the internet and public blockchains. Besides, USDC is tokens can be changed back to USD any time. The execution of issuing and redeeming USDC tokens is ensured with ERC-20 smart contract. Bringing US dollars on the blockchain allows moving them anywhere in the world within minutes, and brings much-needed stability to cryptocurrencies. Also, it opens up new opportunities for trading, lending, risk-hedging and more. Who is the Team Behind USD Coin? USD Coin is developed by the Centre consortium, a partnership between Circle and Coinbase. The technology and governing framework are developed by Centre, while Circle and Coinbase are the first commercial issuers of USDC. Circle was founded in 2013 by the entrepreneurs Jeremy Allaire and Sean Neville. Circle is an official Money Transmitter, which makes the company an open financial book. Money Transmitters are US money service businesses that must comply with the federal laws and regulations. Before the issuance of USDC, the equivalent amount of USD is with one of Circle’s accredited partners. Consequently, all USDC tokens are regulated, transparent and verifiable. Besides, Circle is known as the crypto startup backed by Goldman Sachs. How Does USD Coin Work? USD Coins aren’t just being printed out of thin air. Circle guarantees that every USDC token is backed with a single US dollar. The process of turning US dollars into USDC tokens is called tokenization. 1) A user sends USD to the token issuer's bank account. 2) The issuer uses USDC smart contract to create an equivalent amount of USDC. 3) The newly minted USDC are delivered to the user, while the substituted US dollars are held in reserve. 1) A user sends a request to the USDC issuer to redeem an equivalent amount of USD for USDC tokens. 2) The issuer sends a request to the USDC smart contract to exchange the tokens for USD and take an equivalent amount of tokens out of the circulation. 3) The issuer sends the requested amount of USD from its reserves back to the user’s bank account. The user receives the net amount equivalent to the one in USDC tokens, minus all incurred fees). Unlike the most popular stablecoin Tether (USDT), creators of the USD Coin are obligated to provide full transparency and work with a range of financial institutions to maintain full reserves of the equivalent fiat currency. All USDC issuers are required to regularly report their USD holdings, which are then published by Grant Thornton LLP. All the monthly attestation reports can be found here. USD Coin (USDC) is a 1:1 representation of one US dollar on the Ethereum blockchain. It’s an ERC-20 token and can be used with every app which supports the standard. Deposit USDC from external Ethereum wallet addresses. Circle USDC doesn’t charge users any fees for tokenizing and redeeming services, except there is a $50 commission for incorrect and rejected bank transfers. For Coinbase USDC operations, all the standard fees apply. A minimum USDC redemption amount is 100 USDC. The tokens are processed on business days only, and the process can take up to 24 hours. There’s no minimum tokenization amount, and the process can take up to 2 business days. Purchase items in various crypto dApps, exchanges, and blockchain-based games. How is USD Coin Different From Other Stablecoins? Fiat-collateralized. These include all stablecoins pegged to reserved fiat value. All fiat-collateralized coins are centralized by design. Examples: Tether (USDT); TrueUSD (TUSD); Gemini Dollar (GUSD); Paxos Standard Token (PAX); Digix Gold (DGX); USD Coin (USDC). Crypto-collateralized. These are stablecoins whose value is pegged to reserved crypto assets. Examples: Makercoin (MKR & DAI); Havven (nUSD & HAV). Algorithmic non-collateralized. Software-based economic models that seek to provide price stability without any collateralized assets. Example projects: Basis; Kowala; Fragments. Hybrid. Stablecoins which rely on a blend of the approaches listed above.Example projects: Carbon. USD Coin falls into the first, fiat-collateralized coins category, and is a centralized stablecoin. In general, all the projects within the same category work in a similar fashion and have only minor differences. The more outstanding ones are Tether (USDT), known for refusing to conduct a genuinely transparent audit, and Digix Gold (DGX), whose value is pegged to gold. 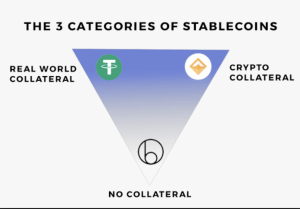 The rest fiat-collateralized stablecoins release regular attestations and are backed by US dollars. The main differences between them revolve around their fee policies and different partner organizations, but the business model, for the most part, stays the same. Where Can You Get USD Coin? Binance (paired with BTC, BNB). Poloniex (paired with BTC, ETH, XRP, BHC, STR, LTC, ZEC, XMR, DOGE). Coinbase Pro (paired with BTC, ETH). Coinsuper (paired with BTC, USD). OKEx (paired with BTC, USDT). Kucoin (paired with BTC, ETH, USDT). LATOKEN (paired with BTC, ETH). SouthXchange (paired with BSV, DASH). Besides these exchange pairs, USDC can be turned to USD and vice versa at Coinbase. USDC is an ERC-20 token issued on the Ethereum blockchain and can be stored in any Ethereum wallet. The most popular options are MyEtherWallet, MetaMask, Mint or Jaxx wallets. If you don’t know how to set up an Ethereum wallet, see this quick guide. USD Coin is a rapidly developing project with credible institutions behind it. Since the project announcement in May 2018, its ecosystem has already expanded to more than 60 partners. Some of the latest news surrounding the USDC project is about the level of control project creators retain over the stable cryptocurrency. Apparently, the developers hold the right to blacklist addresses and freeze funds if there’s any suspicion that the USD Coins are used for illegal activities. However, most of the other stablecoins also have similar clauses. The only stablecoin without such terms is DAI by Maker. Tether (USDT). The oldest and most popular USD-backed stablecoin. TrueUSD (TUSD). USD-backed ERC-20 token by TrustToken Platform. Gemini Dollar (GUSD). USD-pegged ERC-20 token issued by Gemini exchange. Paxos Standard Token (PAX). An ERC-20 token pegged to the US dollar. Dai (DAI). ERC-20 stablecoin pegged to the USD. bitCNY (BITCNY). A stablecoin issued on BitShares blockchain and backed by Chinese Yuans (CNY). bitUSD (BITUSD). A stablecoin issued on BitShares blockchain and backed by USD. bitEUR (BITEUR). A stablecoin issued on BitShares blockchain and backed by Euros (EUR). Stasis Eurs (EURS). A collateralized ERC-20 stablecoin pegged to the EUR. nUSD (NUSD). An ERC-20 stablecoin issued by the Havven foundation. White Standard (WSD). A USD-pegged stablecoin for global payments issued on Stellar protocol.